Do you know enough about the warriors of Facebook? They are still there. More than an year ago, they were busy abusing Maria Sharapova and she went on to win the Grand Slam; they were abusing Mitchell Johnson and he played a major role in the defeat Indian cricket team faced in the hands of Australia. Prithviraj Sukumaran whom they abused is now writing a nice success story which started with Celluloid and Memories which goes on through Ennu Ninte Moideen and Amar Akbar Anthony, and the one whom they hated so much, Sreesanth is back. There was another person whom the Facebook trolls didn’t like; it was Aashiq Abu when he had a negative opinion about Kamal Hassan’s Vishwaroopam during its release. The same situation is faced by Jude Anthany Joseph, the director of Om Shanti Oshana when he gave the idea that he didn’t like Aashiq Abu’s Rani Padmini. It is surprising how the situations change. It seems that nothing matters in the end for the Facebook warriors of abuse, because they just want to shower everything bad on someone all the time, and people at the receiving end changes. The problem started when Jude Anthany Joseph won a State Award, and a few people who were fans of a few actors, actresses and directors started losing their mind. They started using fake Facebook profiles to abuse the man. Well, those who come up with fake profiles and nonsense don’t deserve a nice reply. Those who can’t be decent to others shouldn’t expect a good reply from anyone. These people who are completely against people having opinions don’t even deserve to comment. It is all about mutual respect and only when you talk in a decent way that you will get respect in return. This is a world when pages take money and keep saying that a movie is so good, and there are actors, actresses and directors who keep saying that other movies are good. Meanwhile, Jude Anthany Joseph came up and told that he didn’t like a movie. He just told what he felt after watching a movie. He became one of those few people who spoke his mind rather than simply saying that all movies are so good. Aashiq Abu also told that earlier, and when these people have their opinions, it means that they are directors who can think differently, and it is a positive sign for Malayalam movie industry. 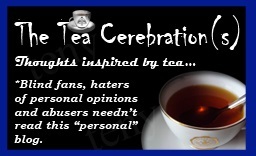 But the fans will only take these negatively. They think that it is against a person, or rather their favourite celebrities. It is time that these people understand that a movie is a work of art which is open to criticism, and there are no actors in a movie, but characters. We compare the performances, but we never judge them by the people whom they are in real life. Some people will like a few movies and some people don’t. If you go on abusing people who don’t like your favourite movie and bring the spam everywhere about this movie being the greatest movie in history, do you think that it is good? Do you fans think that it is a better thing to do? About Jude Anthany Joseph, mine is not that same as his opinion about Rani Padmini, and it is the exact opposite of what he said. At the same time, I don’t even agree to his Facebook status that Amar Akbar Anthony was a great entertainer. I also don’t find the exact same reasons to like Ennu Ninte Moideen as he talked about on his Facebook status. I have agreed to his opinion on Kunjiramayanam, and also on Loham – the list goes on and on. But does that matter much as long as he is a person and it is just another opinion as it is mine? People from the industry who keep talking about the movies as great, awesome, fantastic and all, just need some favour from the rest of the people from industry! But what they have to understand is that while watching a movie, they should be people with opinions, and they need to speak their opinion and not something which they prepared to say before watching a movie. It is our right to show that we have individuality and the ability to be ourselves. Remember the idea of Mili? It is our decision to post what we like on our pages, and the blind fans who are yet to discover the freedom of opinions can make the choice not to visit and read! If you have the ability to think, accept the fact that people have opinions on a work of art, and don’t take it personally. ***The images used in this blog post are from the Official Facebook Pages of the movies, Om Shanti Oshana. Ever since beginning its journey on 5th February 2013, Movies of the Soul was not a blog which I was expecting to be popular. It reached one lakh views just after its two year anniversary, but that was also not something which I expected so early to happen. Beginning with the movie Hansel and Gretel: Witch Hunters, it was not initially meant to post Malayalam reviews, as the idea was more Hollywood, which explains the 132 English movies which I have reviewed there. This explains why I haven’t reached fifty reviews in Malayalam yet on Movies of the Soul, as the number of Malayalam movies which I watched at the theatre only decreased, and it came down in the last year while the number of Hollywood movies remained the same. It was not just about the quality of the movies which was the best for Malayalam in 2013; for it was also about the appreciation which was rather less for Malayalam movies which were like people only wanted to criticize whatever opinion you came up with. 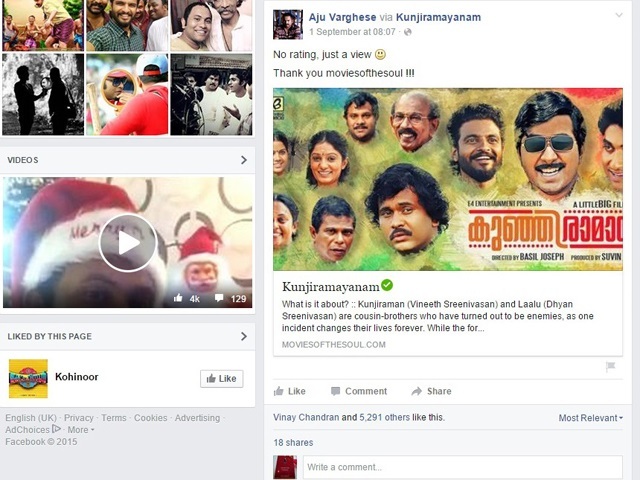 The only significant change was related to the movie Angels, when my blog was mentioned in a video created by the Official Facebook Page of the movie, which was shared by the director Jean Markose and also the one skilled actor who played the central character of the movie, even though not the movie – Joy Mathew. It was important for me as I am not someone used to appreciation. Most of the people I know are only consider people who make a lot of money as “humans”. It has been a major feature of “The Theory of Relative-IT”, which Albert Einstein might have also thought about. I have been writing so much for no reason, and it was becoming a mechanized process of writing opinions when this appreciation came. It has been like that for quite long, with and even though I had tried hard to write even better, and wrote so many times about the movie Mili, there was almost no appreciation for my ideas. Then I thought that Angels would be the last review from me which would get noticed, but I was wrong. It was some time since I watched a Malayalam movie; the last one being Fireman. So I finally watched the movie Ivide, and wrote on all those ideas which came to my mind after watching the movie. It was only later that I noticed that Priya Chokshi, the assistant director of the movie had chosen to retweet my tweet with the link to the movie review. She did share other opinions, but I was happy to see someone in the movie field actually choosing to share my review having the link to this review post. I have been writing Hollywood reviews at Kiagia.com, and so haven’t been caring about the Malayalam movies much. Malayalam movie industry has been going on too much with its fans rather than the regular viewers. But I am glad that I watched this one in the end. The word “ivide” means here, and I am glad that I am here. The Official Facebook Page of Ivide also shared my review on their blog with what I wrote in depth. 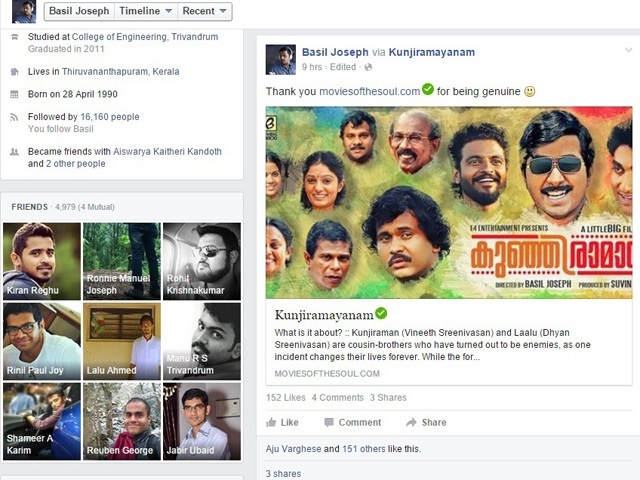 It is the first time that an Official Facebook Page of a movie is sharing my review too. It surely feels good when I write about a multi-starrer movie with two of the biggest young stars in the movie, Prithviraj Sukumaran and Nivin Pauly, and that big name in the actress list, Bhavana, plus that amazingly skilled director Shyamaprasad – and then it get shared. It might not be that big for others, but for someone who is always blamed by the relatives in the name of not getting a job and not being married yet, it is the big boon from the heavenly abode. Movies of the Soul is a blog which I started on 5th February 2013 as part of a desire to express my purely subjective opinions on the latest movies that releases in our theatres. The first review there was on Hansel & Gretel: Witch Hunters, a movie which I watched at Cinemax, Oberon Mall after the show got cancelled at Q Cinemas, Gold Souk Grande. Still, Annayum Rasoolum at Matha theatre, Aluva was the movie I watched first in the year. 2012 was already an year which saw me watching so many movies. It was my second blog after Travel Diaries: Of this World and Beyond not considering the abandoned ones. The idea behind the same was based on the fact that I spend above ten thousand rupees an year (even when not including the travel, food and parking fees) for the movie watching experience in the theatre watching one hundred plus movies on the big screen to almost no result at all – not to forget the time spent. I have supported a lot of movies just because I felt that they deserved to, and even tried to watch those which I had less hopes as I felt they could use some support. But I had to do better that just staring at the theatre screen, because as a jobless person, the money I spend for the movies was too high – it had to work at least for the intellect. A screenshot from the top half of the blog, Movies of the Soul. The total number of movies I watched in the theatre last year was 103, along with the number of flicks I watched at home having a much bigger count – this year’s count is now close to one hundred. I visited nine theatres last year, a number which has increased to fourteen this year. I have travelled kilometres just for a movie that I really wanted to watch, and I have made journeys in a limitless manner in the circle of Ernakulam, Paravoor, Aluva, Angamaly, Perumbavoor, Muvattupuzha, Vytilla and Edappally on a two-wheeler in the rain as well as the extreme heat. When the newspaper shows the wrong information and I end up on the wrong theatre to watch a particular movie, I travel more, until I find the particular movie. Sometimes, a cruel multiplex cancels a show saying that they can’t have the movie there unless there is a minimum number of viewers, and then I have to travel from one mall to the other. Sometimes, I watch two or three movies on a day continously in a theatre. That was with Harry Potter and the Deathly Hallows: Part 2, The Smurfs and Cowboys & Aliens at Q Cinemas, Gold Souke Grande. I have spent all my pocket money for the movies as if I didn’t have to eat or buy new clothes. 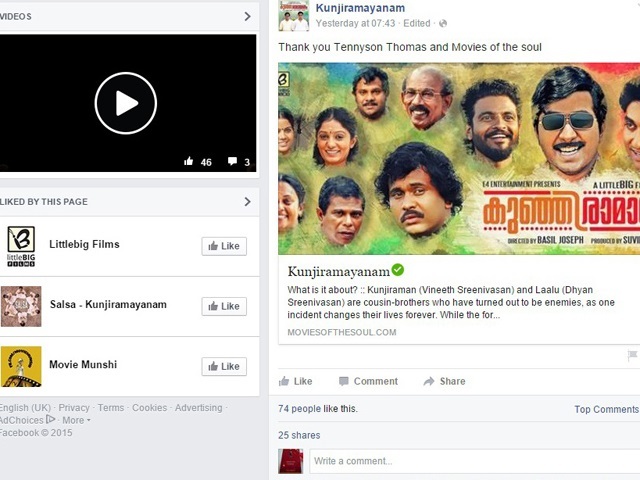 A screenshot of the Facebook page of Movies of the Soul. I have spent too much of my time watching movies, and in the words of some people, rather “wasted”. I have also had Film Studies as my elective for post graduation. With all these, I did hope to be noticed. I have had a seventy five thousand plus viewers so far, so it is more about being “seriously noticed by Keralites”. I don’t know if this has happened before and if it did I have failed to notice the same, but I didn’t miss this one, thanks to my friend Ajai. It was shared by the movie on its official page itself (Angels) Malayala Manorama and PrimeGlitz, and was noticed and shared by the director of the movie, Jean Markose and one of the main actors, Joy Mathew. This one has a mention for my blog, even as they messed up the spelling. I have had very less attention from Keralites for my blog, and with fan clubs making decisions around here, I was sure that the hope was very less. It is the same reason why I decreased the number of Malayalam movies I watched this year, and I even ended up missing a few movies which I really wanted to watch. Yes, my take Malayalam movies do get read more, but the appreciation has been very low for the opinions. People would be more like, “you don’t really have the right to opinion”, unless they are also blogger, and know the value of opinion. Meanwhile, I make clear that I have always wrote opinions on how I felt, without any prejudice.